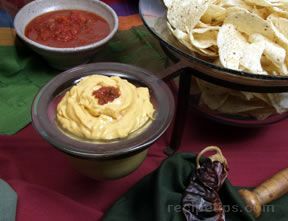 This is a dip you can make as spicy as you want or keep it on the mild side. 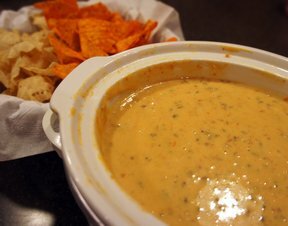 Cheesy and delicious it is a great dip to serve during those football games and easy enough to prepare. Brown sausage in skillet over medium-high heat until crumbly and no longer pink; drain. 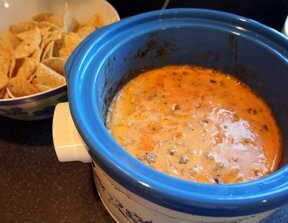 Combine tomatoes with green chiles, soup, and taco sauce in slow cooker. Add cheese cubes and cooked sausage. 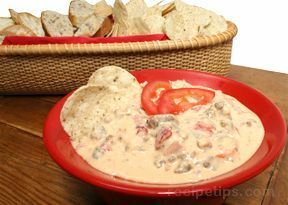 Stir, and cook over low heat, stirring occasionally, until cheese is completely melted and mixture heated throughout. "Great dip! I used regular sausage and medium taco sauce and it was just spicy enough for me."